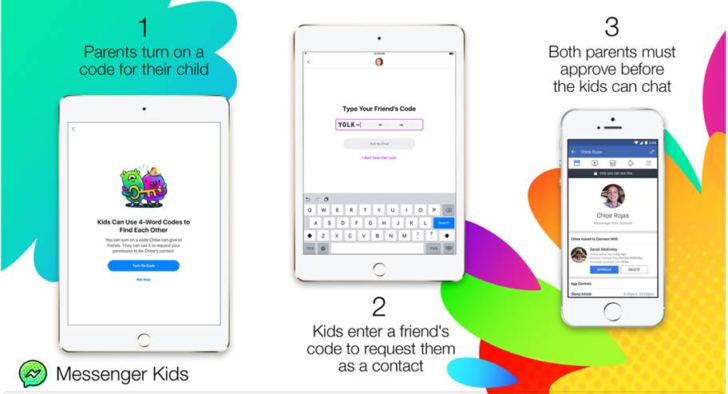 Facebook is currently rolling out a new passphrase feature to its Messenger Kids app, allowing children to send and accept friend requests on their own. Before anyone freaks out, it's important to note that both sets of parents still need to approve the connection. The way it works is that Facebook will generate a random four-letter password for each child. This password is then shown to the other kid who enters it into his or her own app. Facebook Messenger Kids lets children add their own friends — with parental oversight was written by the awesome team at Android Police.